FNV project director and lead designer Joshua Sawyer said Skyrim's problems were on a fundamental engine level, and would take "a large time commitment" to fix. Sawyer spoke from past experience with Bethesda's Gamebryo engine, which became the Creation Engine that underpins Skyrim. But Pete Hines, Bethesda's VP of PR and marketing, has undermined Sawyer's contribution. "No, it isn't true," Hines tweeted. "He brings up issues we solved long ago." "Josh Sawyer did not work on Skyrim nor this engine and his comments don't reflect how the current tech works." "No, it isn't true. [Sawyer] brings up issues we solved long ago." 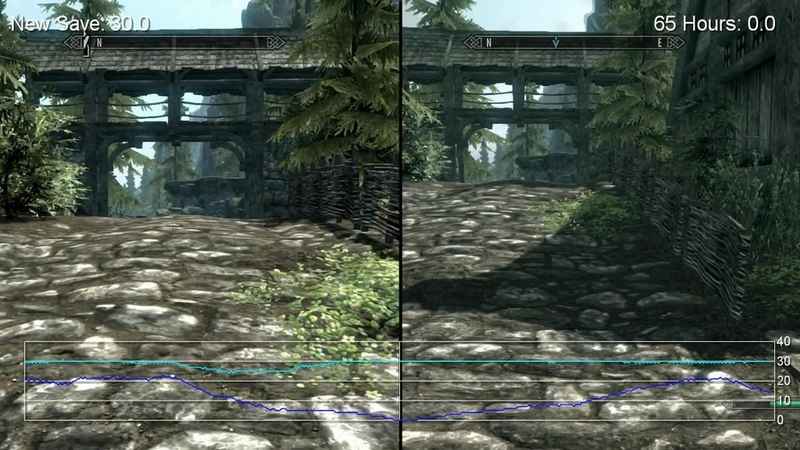 The PS3 lag problem worsens the more you play Skyrim; the larger the game save file, the choppier the game's performance. Patch 1.2 was supposed to fix this, but didn't. Patch 1.2 also broke resistances and made dragons fly backwards. An incremental Skyrim fix to rectify the problems of 1.2 is supposed to arrive this week. However, Bethesda has offered some "helpful pointers that can help game performance" to bide the time. "Turn off auto saves," wrote senior community manager Matt Grandstaff on the Bethesda forum. "This can cause temporary stuttering since the PS3 saves these files in the background. This is most noticeable with large saves when fast travelling to a new area or entering a new area that auto saves. "Clear space on your hard drive," he added. "Skyrim makes heavy use of the hard drive, and freeing up space on here seems to help many people. Hard drive speeds also differ in PS3 models. Some users have reported increase performance by upgrading their drives. "Wait for time to pass," Grandstaff concluded. "Many things are running in the world depending on what quests you've done or places you have visited. Using Wait or Rest options, passing time will clear up some of these. It depends how long you wait, it may take up to 30 days for some items. Saving, resetting, and loading after this will have the largest effect."